How to Clean your Top Loading Washer in Anthem, Az. After trying various diffrent ways, I personally found that this method was the easiest and most effective.So first begin by filling your washer with hot water, and adding 1 qt. of white distilled vinegar. While your washer is soaking, dip a sponge or a rag into the water and detail the sides and top, maybe even the cotrol panel of your washer. 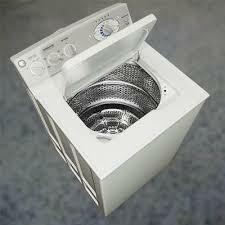 Run a cycle with the distilled vinegar in the washer and walla, you have a clean, working washer.